REGISTER HERE FOR THE 2019 YOUNG LASALLIAN ASSEMBLY. The Office of Education, in cooperation with local schools and works, regularly sponsors an assembly for students involved in the Lasallian Youth movement. For a week during the summer, students are engaged in prayer, reflection, service opportunities, education sessions around themes of social justice, and Catholic social teaching. After participating in the Assembly, Lasallian Youth are challenged to promote a culture of faith, service, and community in their home communities. The location of the Assembly usually takes place on the campus of a Catholic college or university on the west coast of the United States. The location of the Assembly varies each year. Each summer, Lasallian Student Leaders brings together those student leaders elected by their peers, appointed by faculty or invited by administrators for a week of leadership, mission, and faith development. The program seeks to equip student leaders with an understanding of the inherent responsibility they have for the Lasallian Educational Mission as they take up their respective leadership roles on campus. Students are introduced to key concepts and philosophies that will guide their decision making processes, including five core principles of a Lasallian school. They also acquire practical leadership skills and understandings, as well as establish working and collaborative relationships with other Lasallian student leaders from around the District. Lasallian Student Leaders takes place annually. The District of San Francisco New Orleans has assisted over 1000 students and teachers to participate in faith-based immersion experiences. These experiences, called VENAVER (“Come and See”), provide participants (student and adult teams from District schools) with an inter-cultural experience that affirms a common bond among all people as children of God while challenging perceived boundaries between self and others and between self and God. The VENAVER Program addresses the tenets of faith, community, service, social justice, and simplicity. VENAVER experiences have taken place in Mexico, El Salvador, California’s Salinas Valley, New Orleans, and Browning, Montana. A program and curriculum guide for various VENAVER programs has been developed to assist schools in these immersion experiences. These guidebooks are available through the Office of Education. In an attempt to help bring the VENAVER immersion experience to the “front door” of students, teachers, and staff, the Office of Education has promoted and assisted with the development of new, local immersion experiences. Each experience provides students and adults with opportunities to engage people living in poverty, marginalized by society, or fighting injustice. These experiences help participants to develop a better understanding of global solidarity and interdependence. With the Campus Ministers and Service-Learning Coordinators at District schools, the Office of Education has facilitated program guidelines and suggested outcomes for local immersion experiences. Designed for male/female students from each secondary school, these annual retreats provide participants with information, reflection, and discussion concerning their own growing sense of vocation in the Church and asks them to consider for themselves their vocation or calling, including the vocation to the Brothers and other forms of religious life. The Office of Education coordinates a program for college students who are either attending Lasallian colleges or universities or have graduated from a Lasallian secondary school. The Lasallian Collegian Program is a way for students to maintain their Lasallian identity and celebrate that identity with others in common experiences of faith, service, and community. Lasallian Collegians may serve as prefects at Lasallian Youth Assembly and Lasallian Student Leaders. Register to be a Lasallian Collegian. During their senior year, young men recommended by the school are interviewed by the Director of Vocation Ministry, for post-graduation participation in the District’s Contact and Aspirancy Program. 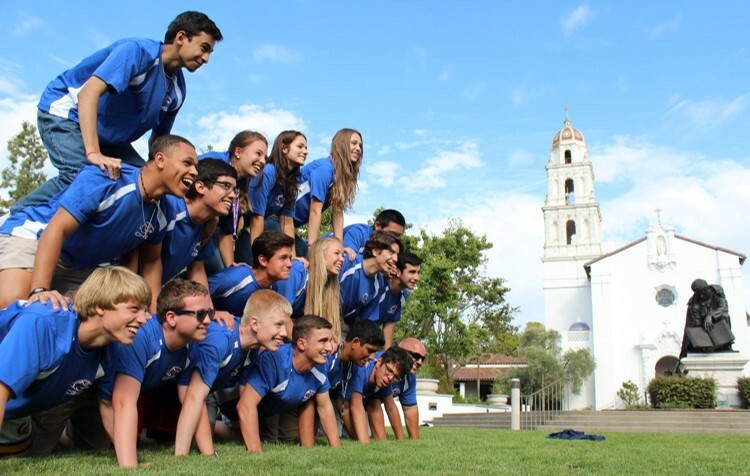 In these programs, they explore the option of Brotherhood by involving themselves in activities of faith, service, and community at District schools and Brothers’ communities. They also participate in regular mentoring sessions to help discern their life direction. For more Young Lasallians information, contact Kenenna Amuzie, Director, Young Lasallians. Visit the Young Lasallians RELAN Facebook page. Visit the Young Lasallians international Facebook page.